There are many times that a person will want to create a work that is very similar to many others. Be it a painting of a famous landmark, a map of a city or any other work that involves creativity but will still bear great resemblance to other efforts. However, protecting such works can be very difficult. 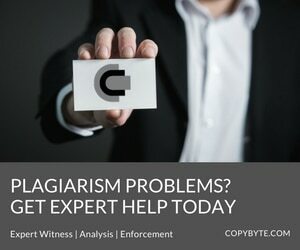 Proving that a plagiarized piece is either a copy or unlawful derivative of another's effort is often an uphill battle. After all, it could just be another unique work based on the same facts, making it something that is completely protected. Fortunately, there are ways to add protection to such creative expressions. One way that has grown very popular in recent years is the copyright "Easter egg", an added piece of information that is unique to the work that contains it. Though its popularity has been historically limited to niche markets such as cartographers and computer anti-virus vendors, it is starting to find acceptance in a wider market. Maps are considered copyrightable works. The creativity that goes into making them, according to the law, justifies their protection despite the fact that they are based upon non-copyrightable facts and government information. However, since all maps are based on non-copyrightable facts, there is nothing stopping other map makers from releasing similar works. With all maps being so similar, it would be easy for one map maker to cut corners and copy portions or the entirety of another map, creating either a duplicate or an unlawful derivative work. Proving that such an infringement took place would be difficult without some kind of added protection. Since mapmakers are free to copy from government sources, which are in the public domain by default, an infringer can simply say that the similarities are due to two people independently reaching the same conclusions because they started from the same facts. If that were true, there would be nothing wrong with that. But to map makers, this would be a significant blow. They want protection for the effort and creativity that goes into producing a new map as well as the continued energy in keeping it up to date. A solution, however, was and is close at hand. Copyright Easter eggs, much like their real-life namesakes, are items hidden in a large area in a manner so that they are difficult to locate. However, in matters of cartography, they are generally pieces of misinformation including fake streets, exaggerated bends in rivers or roads, intentional typos or misspellings and any other alternation of the map that, while meaningless to the user, distinguishes it from other, similar maps. They are also known as "fingerprints", "markers" and "plants" but they all serve the same function, to detect illegal copying of the map. One case, in 1999, hinged on such markers. The case pitted The Automobile Association (AA) against Ordnance Survey (OS). OS, an executive agency for the UK Government, claimed that AA, one of the largest map makers in the country, illegally copied thousands of their maps, a violation of crown copyright (Note: In England, most government works enjoy copyright protection, unlike in the United States). The case, which started in 1999, was resolved in 2001 when the AA, then owned by Centrica, agreed to pay 20 million pounds in damages to OS (approximately 38 million dollars). However, cartographers are not the only ones who use copyright Easter eggs. Authors of anti-virus definitions are well known for putting Easter eggs in their code, In a related case, in 2003 the makers of Spybot Search and Destroy, the popular free anti-spyware application, called out two competing vendors for using a "hacked version of the Spybot-S&D database" and has since caught at least two others doing the same thing by using the same easter eggs. But it's not just cartographers and virus definition authors that can benefit from such easter eggs. Any artist or author that produces an original, creative work based upon non-copyrightable facts can benefit as well. After all, paintings and poems can be copied as well. If you visit the Golden Gate Bridge and create a painting based upon the beautiful view from the hills above it, you have copyright protection on that work. However, there is nothing to stop another painter from later visiting the exact same spot and creating a very similar painting based on the exact same view, or even one based on a public domain photograph of it. However, copyright law does prevent someone else from copying that work and/or creating a derivative work based upon it. The problem, as discussed earlier, would be proving it. But if you are creative and add things to the painting that do not exist, a house on the riverside, a bizarre sailboat, a unique cloud formation or anything else that is unlikely to be reproduced independently, not only does that give parts of your work more protection (by making it more creative and original) but also provide a potential way to detect someone who lifted from your work. While writers have less to fear regarding such matters, they are not immune either. Writers who create "creative" lists such as "top ten" lists have cause to worry as well. (Note: U.S. copyright law does not protect non-creative collections of data such as phone directories). Though no writer wants to introduce misspellings or erroneous information into their lists, especially shorter ones, subtle changes can be used to protect larger ones. Of course, writers can always use statistically improbable phrases to detect word-for-word plagiarism. Photographers, especially those taking images of public places, have cause to worry. However, if their work is digital they can embed watermarks, both visible and invisible, into their works to detect and verify plagiarism. Musicians, likewise, can input undetectable sounds and breaks into their music and directors can place hidden frames into their footage. In both cases, the easter egg would be unnoticeable to a human but easily detected by a computer or other machine. In short, in nearly any form of sizeable expression, there is a way to insert easter eggs to help detect and prove copyright infringement. These easter eggs can go to great length to prove plagiarism when the plagiarist claims it was an independent creation based upon non-copyrightable facts. Easter eggs can be a compelling way for creatives not only to distinguish their work from similar creations but also provide a layer of protection against copyright infringement and plagiarism. While these fingerprints won't do anything to actually prevent such infringements, they can provide a valuable way to detect and prove them. Any artist that is making protected creative works based on non-copyrightable facts or information needs to seriously look at incorporating at least a few into their efforts. In fact, even artists who are likely to face a large number of similar, but legitimate, works need too take a look at using easter eggs as well. It's a form of digital rights management that costs nothing, is easy to apply and does not negatively impact the user in any way. Even if the protections are limited, there is very little to lose by using such easter eggs. However, potentially, there is a great deal one can lose by not acting. That alone should make it worth the meager investment.